Drawing upon a unique blend of aesthetics, steampunk weaponry often displays vintage Victorian designs with a mechanical bent. 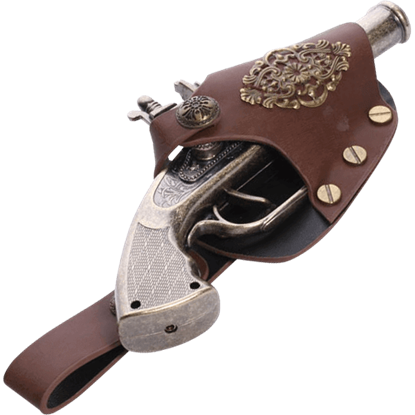 We carry an excellent selection of steampunk replica firearms that make superb costume accessories or theatrical props. 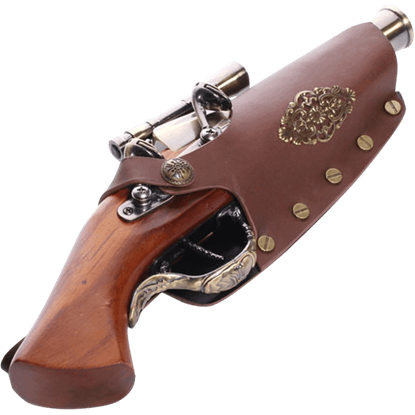 Our Neo-Victorian replica guns include a range of sizes and styles, including flintlocks, revolvers, and other high quality period pistols. These non-firing guns show incredible detail in their designs, often augmenting traditional gun features with anachronistic or futuristic elements like scopes, gauges, and gears. Many of the steampunk prop guns display engravings, rhinestones, colored finishes, and other fine details that make each one a unique item. Perfect for airship captains, steampunk gentlemen, Victorian ladies, steampunk explorers, and other popular cosplay picks, our selection of steampunk prop pistols contains a gun for any look. Only the nobility would be lucky enough to carry a gun this ornate! 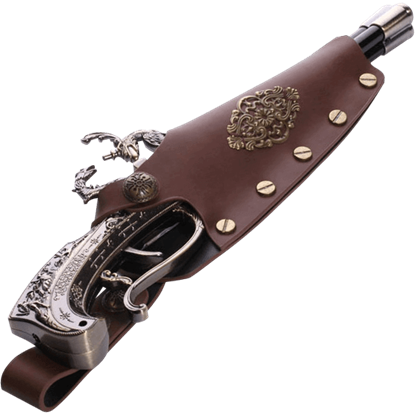 The Steampunk Flintlock and Holster offers your steampunk apparel a distinct touch of vintage flair with its intricate appearance and antiqued design.